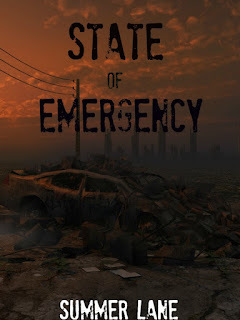 Victoria H. Smith: State of Emergency by Summer Lane Release Day Event! 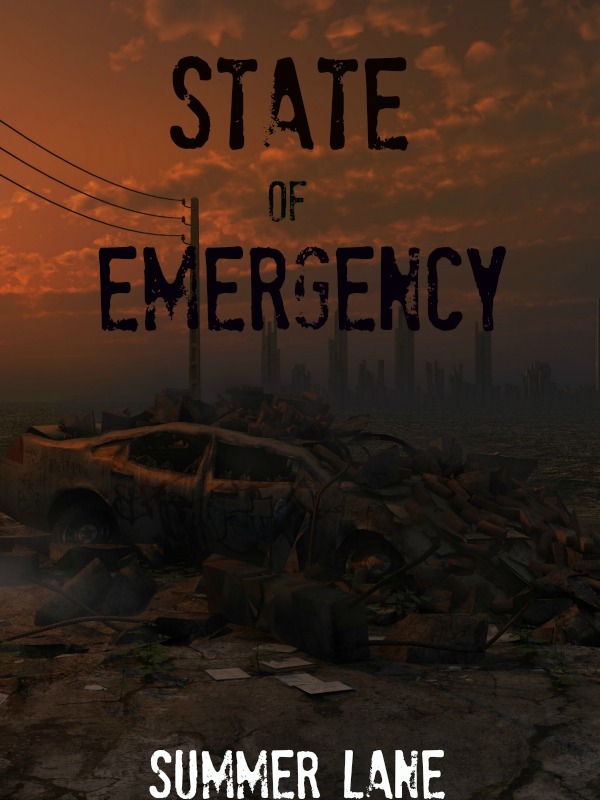 State of Emergency by Summer Lane Release Day Event! But with the help of a handsome soldier named Chris, she just might find her dad without getting into serious trouble. Eep! I'm so excited because my fellow NA Sister, Summer Lane, from NA Alley has a new book out! It's a dystopian NA romance!!!! Squeeee!!!!!!!!!! How epic is that? And so original. To help her celebrate the release of State of Emergency two of her characters have stopped by my blog today! Enjoy the interview and pick up this chick's book today! Interview with Cassidy and Chris! Me: Tell us all about yourselves and your story! Cassidy: Well, the apocalypse finally came and I figured the only way for me to survive it was to stick to the emergency plan my dad and I came up with: Meet at our family cabin at all costs. Chris: It wasn’t an apocalypse, Cassidy. It was an EMP. Cassidy: Like I said. It was an apocalypse. Anyway, for future reference, it takes a long time to walk across the state of California on foot. Especially when everything’s gone haywire. Chris: It’s not that bad. Cassidy: Um, yeah. It totally is. Chris: * wiggles eyebrows * Yeah, but you met me, so how bad could it really be? Me: Now, I know this is a story of survival, but even survivors love music! What tunes do you both enjoy? Cassidy: Ah, if my iPod were still functional, I would totally be jamming to Adele and Ed Sheeran! I love their songs. And who doesn’t like just a little Kelly Clarkson every once in a while? Chris: AC/DC, Aerosmith, Elvis Presley, Mick Jagger, The Beatles…maybe some Kenny Chesney and Brad Paisley. Cassidy: Wow. That’s kind of a wide variety, there. Hard rock all the way to country. Chris: Yeah, well, I’m from Virginia, remember? Everything comes back to country music. Cassidy: I’ll try to remember that next time I visit Virginia. Me: What are some of your favorite pastimes? Chris: Making out with Cassidy. Cassidy: *throws a water bottle at his head * He did not just say that. That’s completely off the record. * turns back to Chris * Give her a real answer, please. Chris: * laughing * Fine. I like to go biking. Cassidy: He means motorcycling. Not pedaling a bike. Chris: I think they can figure that out. Cassidy: Ok, ok, I’m just saying… I like to walk on the beach and read. Cassidy: Not as typically male as your original answer. Chris: I don’t deny that. Cassidy: For the love of… * sighs * What’s the next question? Me: If you could sum up what readers can look forward to in State of Emergency in one word, what would that word be? Cassidy: Adventure! Possibly some scary underground tunnels and a little romance, if you’re lucky. Chris: I was going to say me. Cassidy: Of course you would say that. You’re so full of yourself. Chris: I’m not the only one. Cassidy: I think the whole point that I would try to convey here * slaps hand over Chris’s mouth * is that a post-apocalyptic world is kind of crappy, but we’re just trying our best to survive and stay off the enemy’s radar. Chris: Yeah, yeah. What she said. Cassidy: Thanks for having us! Chris: The only person they’ll remember is me, but yeah, thanks. How cute are these two! Thanks for being on the blog today guys! Summer began writing when she was 13 years old, due to the fact that the long afternoons after school were somewhat boring, and writing stories seemed to make the time pass a little quicker. Since then she has written many books about jungle cats, secret agents, princesses and spaceships. 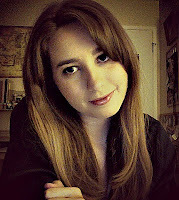 She is also a non-fiction writer, but her debut novel, State of Emergency, is her favorite book yet. You can find Summer hopping around on the Internet by following her on Twitter @SummerEllenLane, or on Facebook: Writing Belle. That was a fun way to promote the book! Cute! Summer, all the very best to you in the success of your book. Congratulations on its publication. Character interviews are always a lot of fun. Chris, be sure to stay out of the way of those flying water bottles. Haven't read much dystopian books of the new adult variety. Might check this one out. The interview was great and funny. So great!! I love character interviews . . . I posted one with my characters this past summer when we did the Buccaneers blogfest, and I'm doing one again soon for the 18 Things Blog Tour. I'm adding your book to my massive pile of TBR on Goodreads (but sneaking it past some of the others b/c you sounds sooo good, heeheehee).